For completeness, this chapter summarizes some relevant aspects of the linear model (LM) and generalized linear model (GLM) for the book. A basic understanding of these is helpful when considering VGLMs later. Some topics covered include link functions, the exponential family, assumptions, estimation (especially IRLS), numerical and computing aspects, how to fit these models in R, and diagnostics. Also, a section on smoothing is provided, which covers splines and local regression at an introductory level. 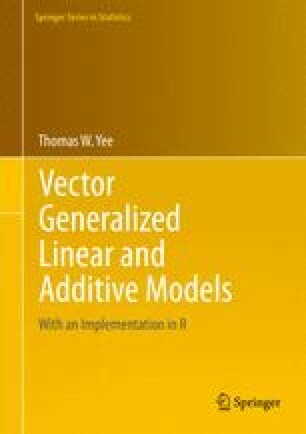 Generalized additive models are briefly mentioned.